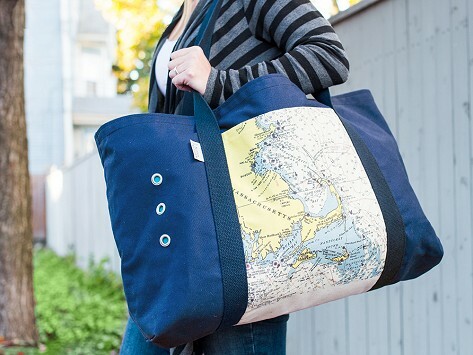 If you can’t easily get to your favorite place, you can at least keep it close by—on hand, actually—with a customized map beach tote bag. 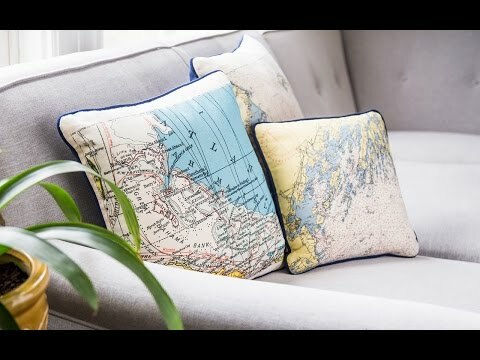 An image of your special location is created from nautical charts and topographical maps, and then silkscreened onto a durable canvas and nylon beach bag. (You’ll get a proof first to approve your personalized design.) Stainless steel grommets help air out the bag, too. Dimensions: 21.5" (28" laid flat) x 15" x 6"
This looks great and is very well made. Map graphics are sharp and colorful.